Welcome back to our SolidWorks Tutorials for Beginners series. This is our fourth lesson about the SolidWorks interface. 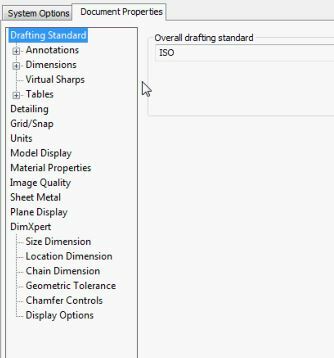 In our previous lesson we’d finished learning about Command Manager–that’s the ribbon of tools and tabs at the top of your SolidWorks screen, as well as how to customize your interface using the Customize Command Manager window. We’d also talked about the hang-up toolbar right under the command manager, and how this is a good place for tools you use very frequently. Then we learned how to add and remove tools from this toolbar. For more information and SolidWorks tutorials in video and pdf format, please visit our website at www.video-tutorials.net. 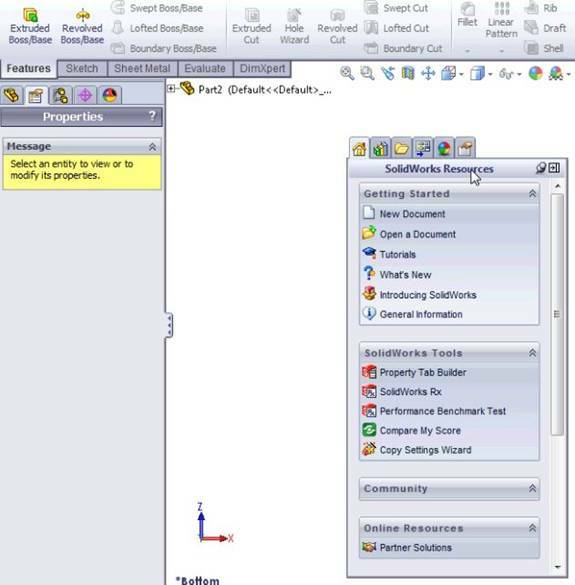 Many of the SolidWorks toolbars can “float” in your workspace, meaning that you can drag and drop them wherever you’d like to put them. You can also “dock” or position them around your screen in various positions. Fig 01 – The tab for the property manager. You can grab this button and drag it (holding down the left mouse button) and dock it around the graphic area or let it float freely, as pictured below. You can dock it top left, top right, bottom left and bottom right. Fig 02 – Above is the Property Manager, now floating freely as an independent palette. To restore it to the original position on the left-side panel, just drag it back to the row of buttons where it was originally. You can also undock the whole command manager the same way; just left-click and drag, holding down the left mouse button, and drag the manager out. Release the left-mouse button wherever you want to drop it. It can float freely as well dock in the top left, top right, bottom left and bottom right positions. To restore the command manager, just drag back to the original position. Below you see pictured the Command Manager as I drag it down to dock it bottom right. Fig 03 – The Command Manager en route to a bottom-right docking position. Note the task pane buttons docked top right; I’ll be talking about them next. Next let’s take a look at the Task Pane, which is currently docked top right on the graphic area. Click any button to make its panel fly out. Click the pin icon to keep the task pane visible, rather than collapsing automatically when you mouse back into the graphic area. You can also undock the task pane with a left-click and drag (while holding down the left mouse button). You can let it float in the graphic area, or dock it top right, top left, bottom left and bottom right. Below, I show you the task pane floating freely in the graphic area. If you want to watch how this works in more detail, please see our SolidWorks tutorials at video-tutorials.net, and our numerous free SolidWorks tutorials at http://www.youtube.com/videotutorials2. Fig 04 – The SolidWorks Task Pane, undocked and floating in the graphic area. Each button of the task pane opens up a different panel. The panel displayed above shows the SolidWorks Resources panel. From here you can get to tutorials, and other online and local information about SolidWorks. You can also create a new document from here and open a new document. The second tab takes us to the SolidWorks Design Library. This panel is a place you’ll be spending a lot of time in! It is the library of standard parts and features. You can also save your work to the library for easy re-use later on, or to share with your colleagues etc. There’s thousands and thousands of parts. You just select a part with a left-click and drag it right into the graphic area to begin your work with it. 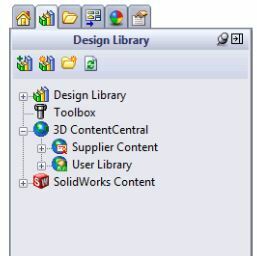 Fig 05 – The SolidWorks Design Library tab of the task pane. It includes the standard Design Library and Toolbox (where the parts you insert come with mates also, as well as 3D Content Central and SolidWorks Content. The 3D Content Central is how you can share content you’ve created with other SolidWorks users around the globe. SolidWorks Content takes you to the models created and posted at the SolidWorks website, by SolidWorks employees, professionals, and experts from around the world. Above is pictured the File Explorer tab of the task pane. Here you can navigate through your computer directories to look for parts and other files, rather than having to keep Windows Explorer open to figure out what’s where. It’s like a Windows Explorer that opens up right inside SolidWorks. The next tabs are the View Palette (where you can adjust how the model appears in the graphic area, Appearances tab (where you adjust the photorealistic presentation of your work, and the Custom Properties tab (where you can adjust miscellaneous properties of your entities). To close the task pane, just click anywhere in the graphic area to hide it. 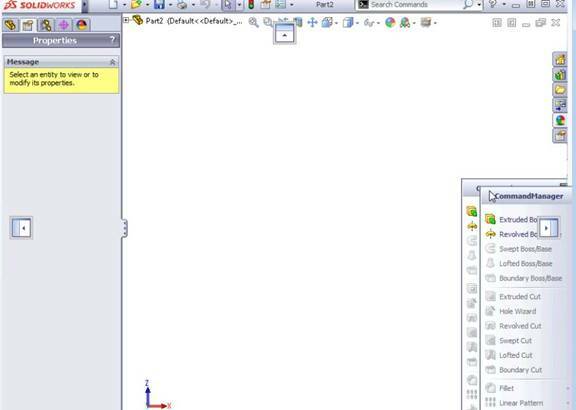 At the bottom of the SolidWorks screen is what’s called the Status Bar. If you don’t see it, select it from the View menu on the main Windows menu strip at the top of the screen. (Any items marked with a checkmark are visible). Fig 07 – The status bar, which appears at the bottom of the SolidWorks screen. 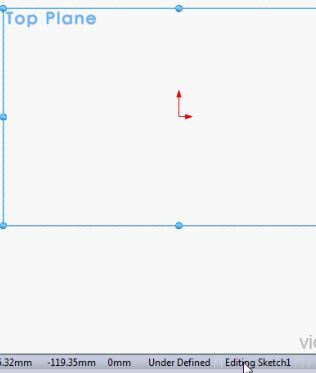 Fig 8 – Status bar tells us we’re Editing Sketch 1. The status bar also lets us know that the sketch is Under Defined. This means we haven’t placed enough relations or dimensions to fix it in space for part modeling yet. Once you have enough definitions in place, then this line will display Fully Defined. 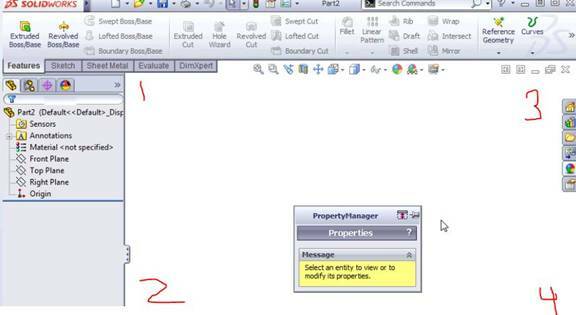 If you have too many dimensions and relations, SolidWorks doesn’t know which to use to calculate the model, and you will see a message and warning Over-Defined. To the right we see an acronym, MMGS. This stands for millimetres, grams and seconds. This lets us know that we are in are working in metric units. If we click on the arrow next to MMGS, a menu pops up displaying the various unit systems we can choose from. You can switch your document’s units of measurements right here. Fig 09 – Choose units of measurement for your document right from the status bar. Full Screen Mode – When you press F11 on your keyboard, you go into full-screen mode. This maximizes your graphic area. Press F11 again to toggle full-screen mode off. You can also achieve the same via the View menu on the main Windows menu strip at the top of the screen. 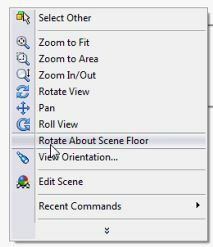 Fig 10 – The contextual menu when you right click in blank space in the part modeling environment. To exit the contextual menu or auto-collapse it, just click in blank space in the graphic area. 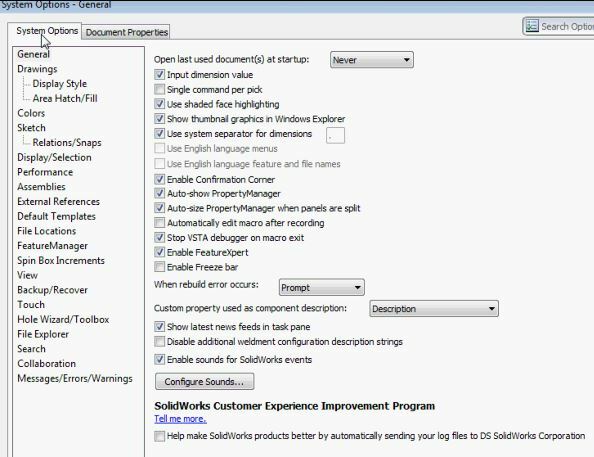 Fig 11- How to open the Options window, where you make many changes to Solidworks settings and the interface. We’ve been to this window before, and you will visit this window many times in the future. The Options window has two tabs. On the System Options tab, you make changes that apply across your installation of the application. Some of the area you control are display style, relations and snaps, spin box increments and so on. Fig 12 – The System Options tab, where you change settings application-wide. On the Document Properties tab, you make changes to settings that apply only to your current active document. Fig 13 – The document properties tab, where you make changes to settings only for the current active document. Here you can change, for example, the units of measurement for your current document, which we are also able to do right from the status bar at the bottom of the screen. To close the Options window, click the Cancel button, but if you’ve made any changes you’ll need to click Apply and OK. This concludes the fourth part of this lesson about the SolidWorks interface. We’ve just touched on it, really, and will be learning a lot more as we go along in this series of SolidWorks Tutorials for beginners.